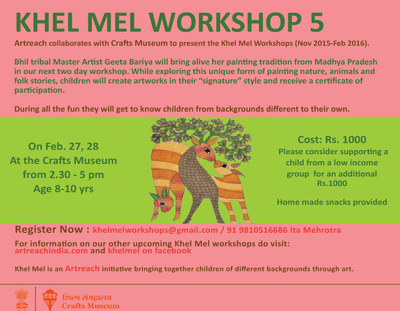 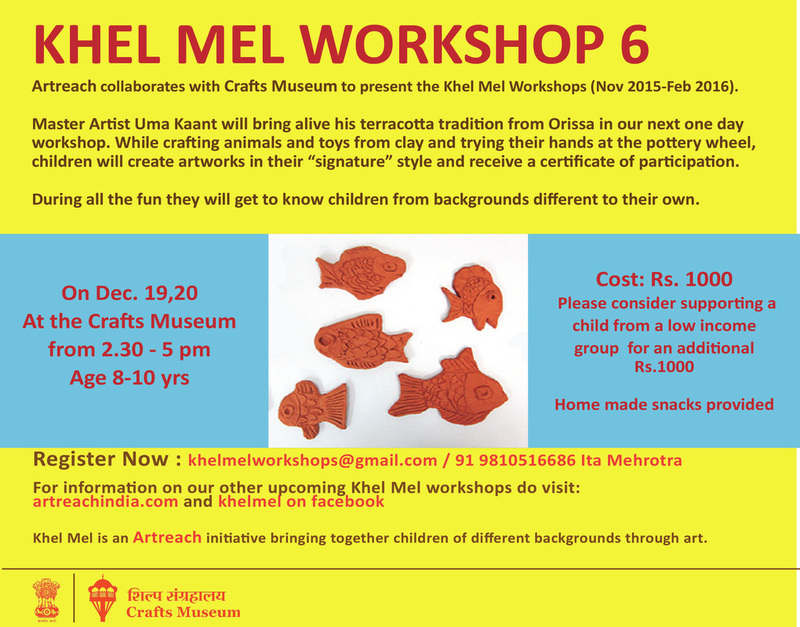 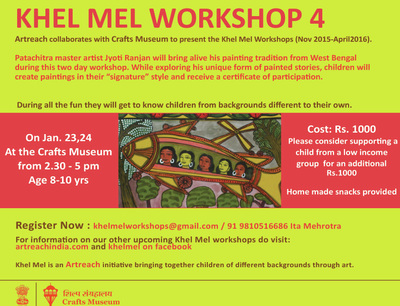 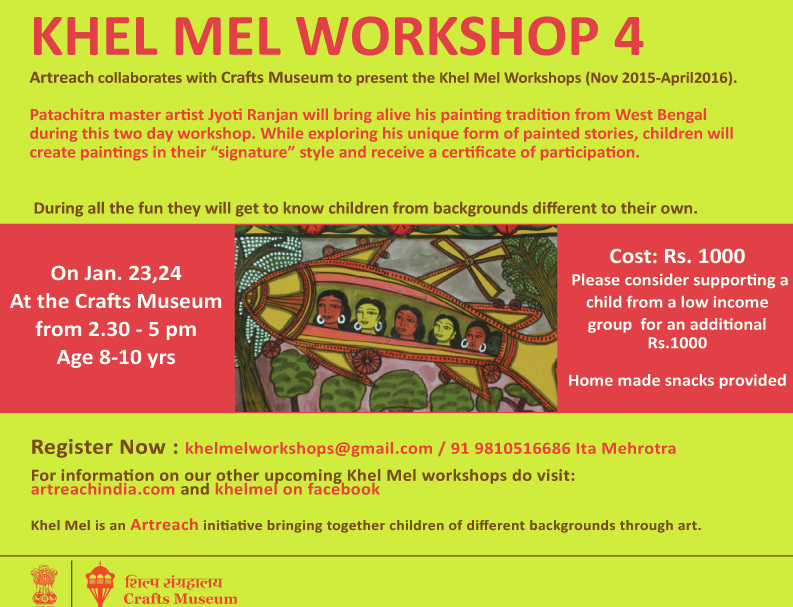 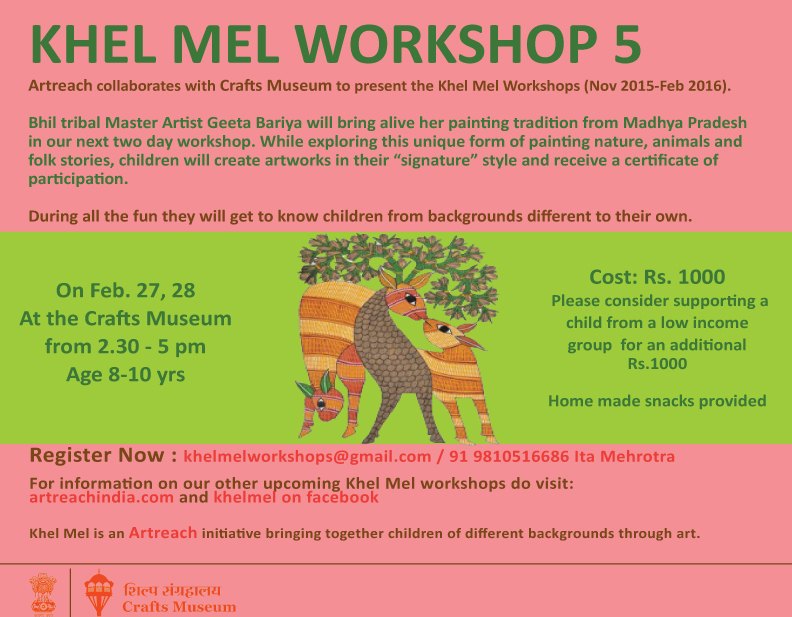 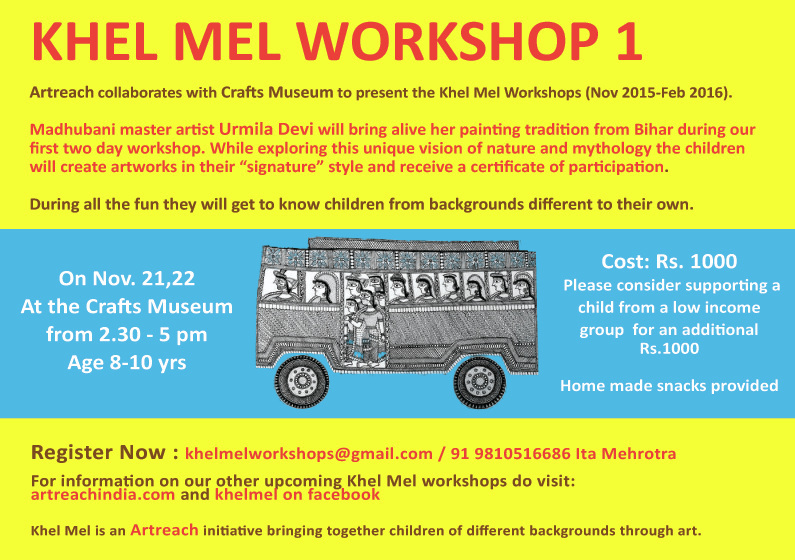 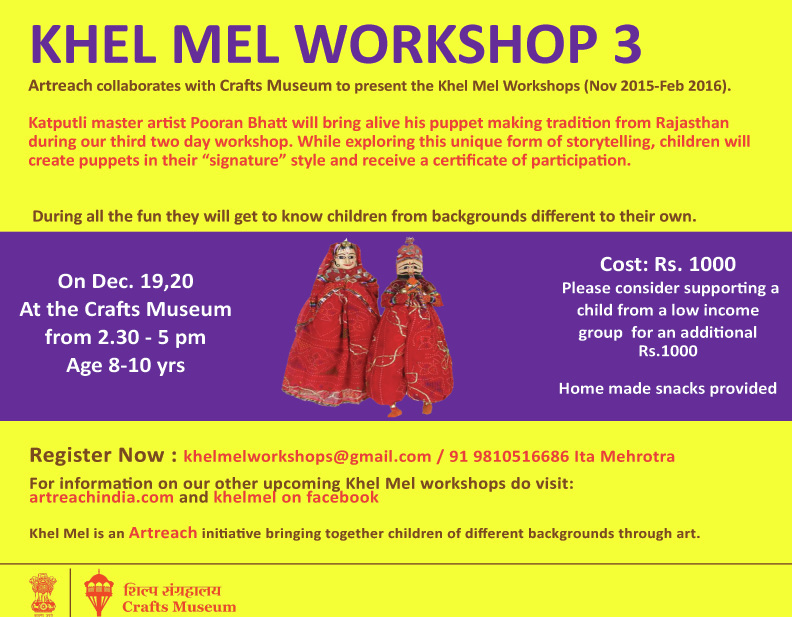 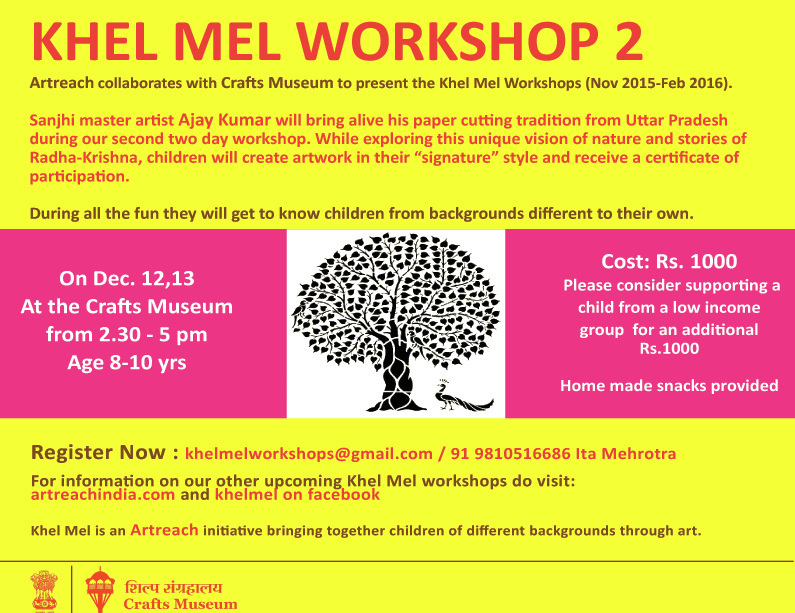 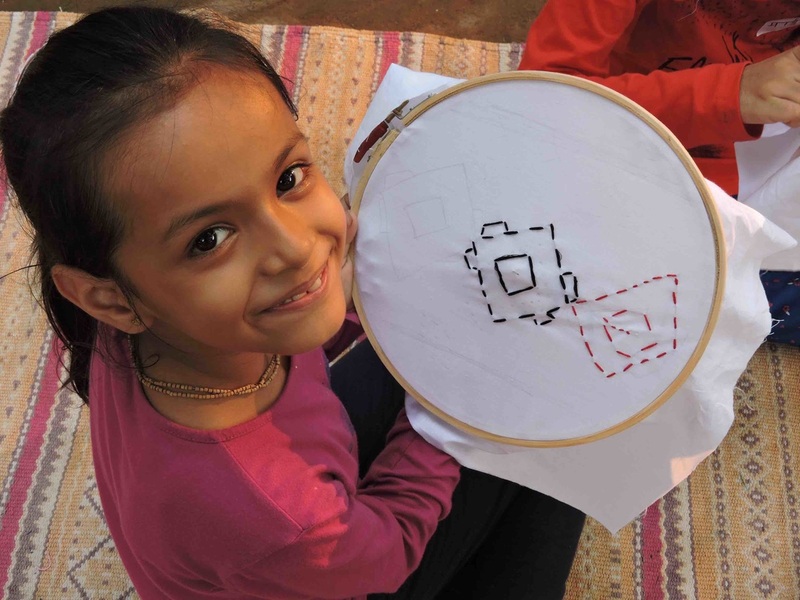 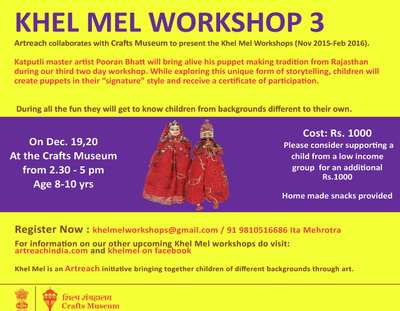 Khel Mel workshops are designed to facilitate interaction between groups of children from different socio-economic backgrounds within the context of learning - directly from a practicing folk or tribal artist - about a living art tradition. 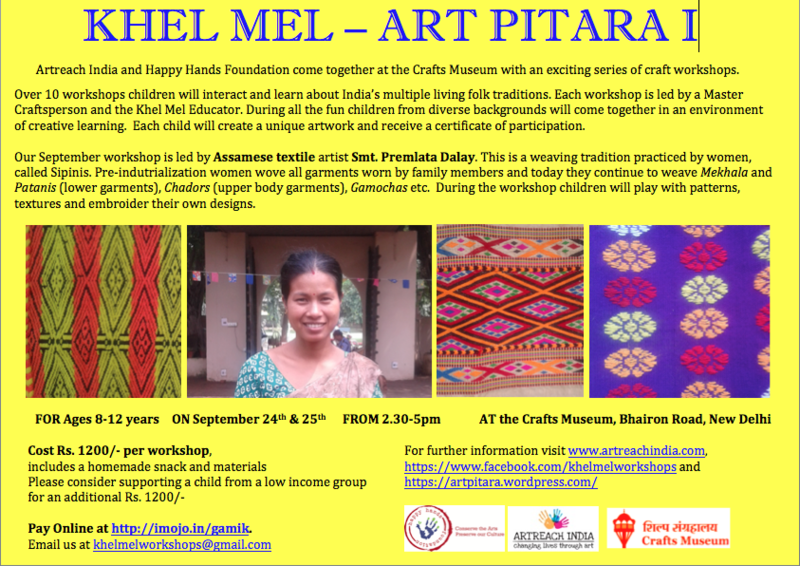 Each workshop happens over a weekend at the Crafts Museum. 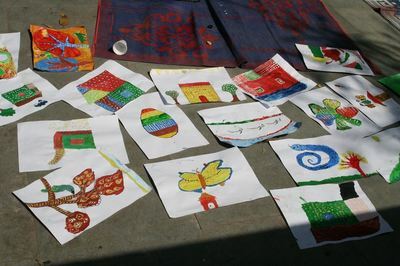 Approximately 20 children participate, half of them pay for the workshops and half are invited by us from one of our partner NGOs or schools. 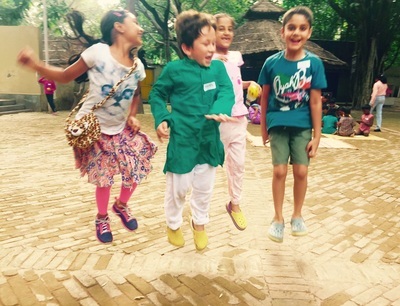 The interaction between the children is made possible in many ways through fun and engaging activities that break the ice, helping the children get to know each other, and to see the many ways that they are alike as well as allowing them to think about the differences that exist between them. While learning about the art tradition, we attempt to evoke a sense of wonder as we look for children's points of view, thinking and ideas. 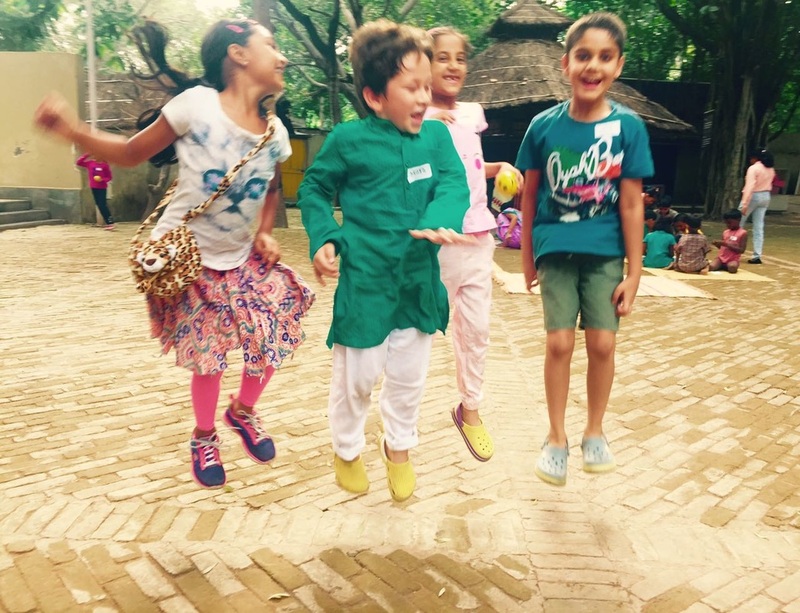 Children are encouraged to think more deeply and meaningfully through activities and thinking routines such as 'See, Think, Wonder'. 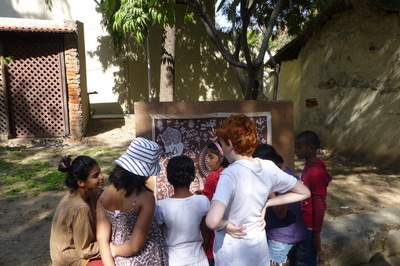 They are encouraged to question and inquire and seek answers from the artist. 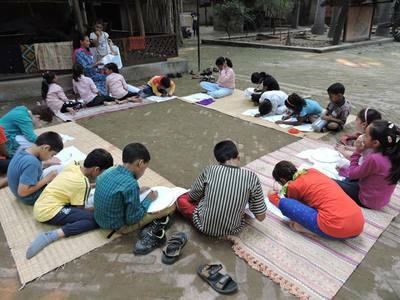 Through their questions and discussion with the artist they learn about the art form and its context; from watching him/her draw and paint they learn the techniques so that they can make their own works. 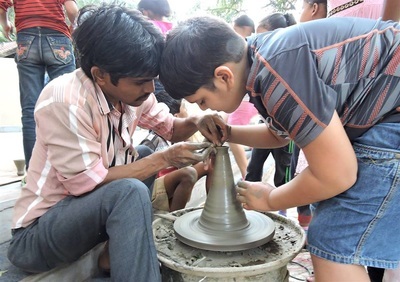 The artist then supports them in this activity. 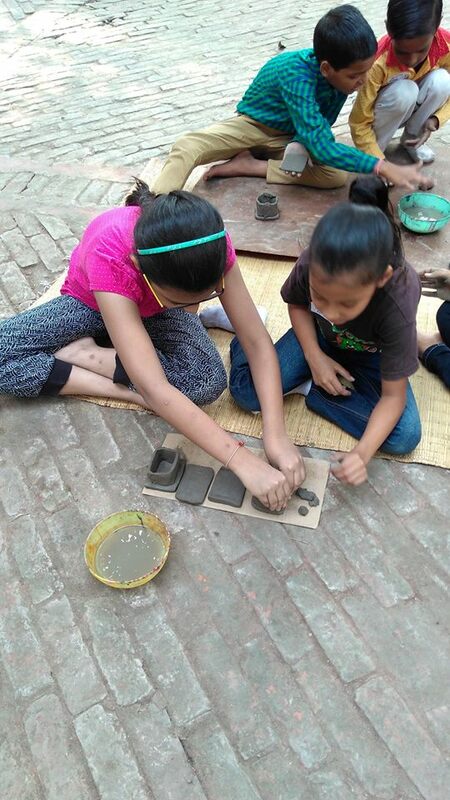 Second, that these urban children learn something of the varied and extraordinary art traditions of their country, that a sense of wonder and respect for these traditions and their practitioners is instilled. 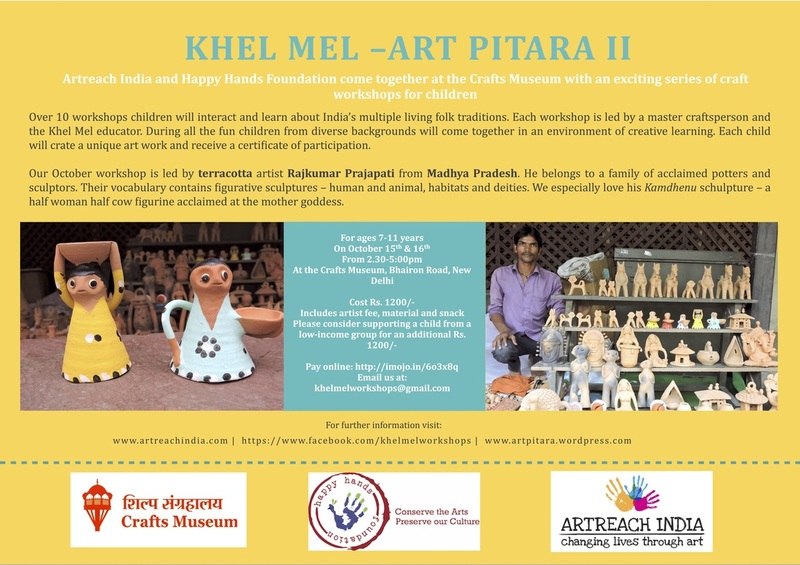 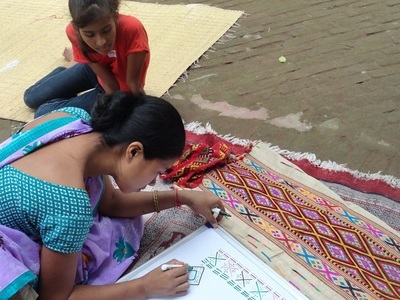 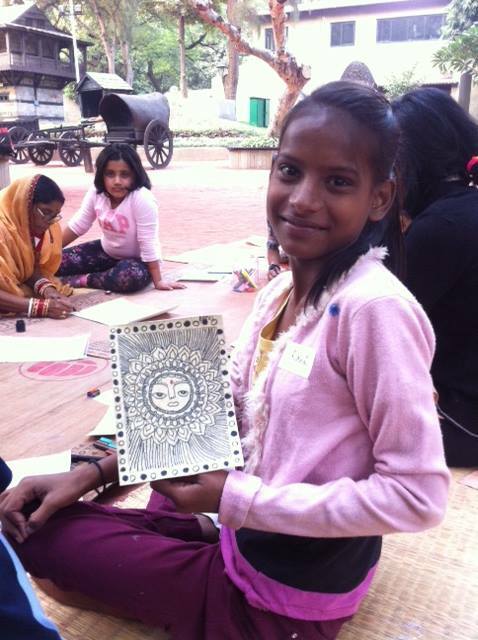 In collaboration with Happy Hands Foundation and Crafts Museum, New Delhi, Artreach India is facilitating 10 weekend workshops between September 2016 and February 2017. 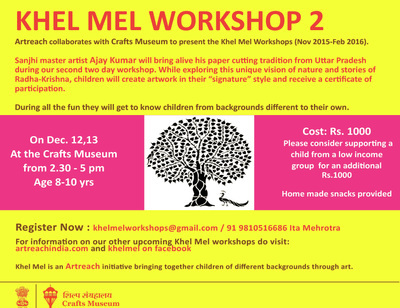 For children ages 7-11 years, each 2 day workshop will highlight 1 craft form with a master craftsperson.